I have added a new page with a list of FREE downloadable e-books pertaining to liberty and the founding of these United States, be sure to check it out. This entry was posted in Faith, Liberty and tagged books, faith, Founding Documents, Founding Fathers, government, Liberty, natural law, Reading on April 30, 2013 by zeekbog. This whole concept will be, without a doubt, very foreign to protestant and evangelical readers; but I would urge you put your qualms aside and read this book anyway. To be honest, I have no real reason to either believe or doubt the testimony of the Medjugorje visionaries; but I chose instead to simply apply the test our Lord gave us to the teaching that was presented. That is, I looked instead to the fruit of the words conveyed and not the source. The teaching, in my opinion is glorifying to Christ and edifying to His body and therefore should be accepted as good teaching regardless of my belief or unbelief in the source. My only other qualm as I read the book is that at least at one level it probably could have gone deeper into the forces arrayed against our nation. The author chooses to address primarily actions taken by the Obama administration during the first few months of 2012, and while he hints at forces working behind the scenes to place Obama in power, he doesn’t really choose to address them other than a brief chapter on George Soros and some veiled references to communism. This, however has its advantages, information about the false two party paradigm and the powers behind the scenes that are manipulating our government has become fairly mainstream and is relatively accessible. With the focus being mostly on things going on behind the scenes within our current government, this book is easy reading for average conservative readers who don’t trust the current administration but have as of yet been unwilling to admit to the gravity of the situation. If you are already better informed than to focus solely on the actions of this administration, you will still learn a good deal about actions being taken through executive order you were likely unaware of and can just make a mental note that there is more going on that just “liberalism” or “socialism”. That said the author goes much deeper into the issue than the average author, because he recognizes that the real issue is a struggle between good and evil. As a devout follower of Christ A Friend of Medjugorje recognizes that evil cannot rise to a place of power and prominence unless Christ’s followers turn aside from holy living and fail to uphold Christian moral values in the pubic square. The ultimate responsibility for what has now begun to happen lies not with the government, but rather with the American Church, which has largely failed to positively impact our society. In presenting his solution, the author focuses on the fact that no change will be possible without first shedding tears of repentance and turning back to God. In doing so the author lays out very clearly how a Christian principles can, and indeed must, underpin the nation in order for it succeed. In addition to a passionate cry for repentance, the author gives a phenomenal reintroduction to the Constitution and founding principles of the United States. I have read a good bit of the writings of our nations Founders and found this book to be just as clear and well written on the principles of liberty. The author addresses key issues, such as the concept of Natural Law, the responsibility of Christians to resist tyranny (for a brief look at this issue see my post Rebellion to Tyrants is Obedience to God), the difference between Democracy and a Republic, and the balance of power between the States and Federal Government just to name a few. In addressing these issues the book is filled with quotations from the founding fathers, which help point to further reading in the future. After addressing the need for personal heart change as well a change in mindset the author delves into a detailed plan to restore our nations liberties. He chooses to focus on changing things we have control over, or can easily get control over rather than on some vague attempt to “take our country back”. The author instead advocates forming small, Constitutional Prayer Groups and allowing them to lead to a move back towards, small, rural, sustainable pockets of freedom in small towns across America. He then advocates moving at the county level to elect a constitutional sheriff, and does a good job explaining the ability of the sheriff to put a stop to all the various forms of tyranny that are currently being wielded against American’s today. My post A Revolution in Miniature sums up many of the concepts the author addresses in detail. This book is essential reading for all God-fearing patriots in America today, focus on the truth of the message and don’t be distracted by the more Catholic references. I would also advocate as many pastors as possible read this book and in so doing rediscover the role you ought to be playing in preserving American liberty. This entry was posted in Book Reviews, Faith, Liberty and tagged american revolution, faith, Founding Fathers, government, Liberty, politics, Repentance, solution, The fired the first shot 2012 on April 29, 2013 by thetonedeafbard1. Won’t you come and be a lamb? Will you be the incarnate God among them? Will you come and be a lion? With the might of the Spirit that is in you? And set free the oppressed to know the love of their Father. Won’t you come and be a lion? This entry was posted in Faith, Poetry and tagged bardsong, faith, hope, lamb, lion, love, mission, oppression, Poem, poetry, Redemption, sacrifice, salvation, tyranny, unreached peoples on April 22, 2013 by zeekbog. The US House passed CISPA greatly endangering Internet privacy, and potentially opening the door to squelch alternative media sites in the future. This entry was posted in Liberty and tagged CISPA, government, politics on April 18, 2013 by zeekbog. 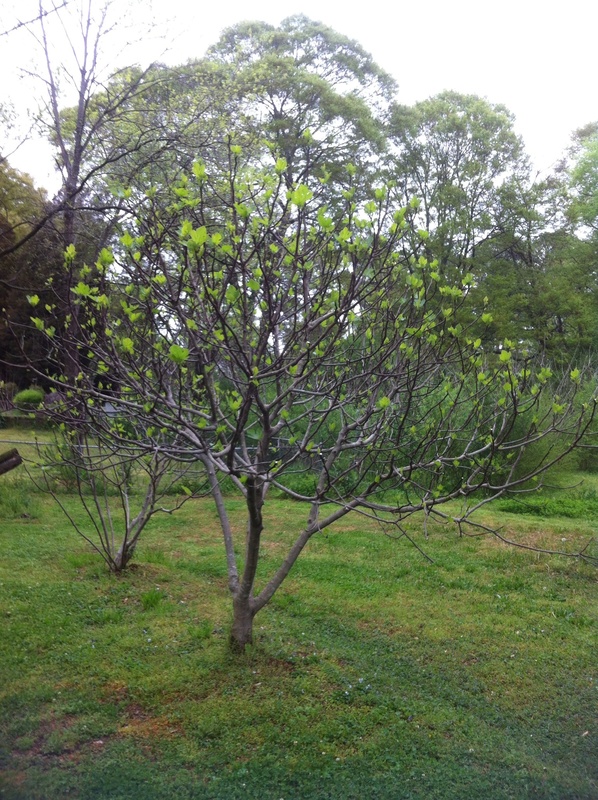 The leaves are coming in on the fig trees as the warm spring sunshine lights upon them. And the murmur in the stream. All this for the only loving King. Will you add or subtract from it? This entry was posted in Faith, Poetry and tagged bardsong, Meditation, Poem, poetry, song of creation, springtime on April 17, 2013 by thetonedeafbard1.